The carpet tiles are the best choice if you want a fashion forward, textured look at a great price for your home. Used as an area rug, hallway runner or wall to wall, this tile provides a solution that does not require an installer or a separate adhesive. You can create a new look in an afternoon with this peel & stick system. The 18 inch x18 inch tiles are cut with the "perfect cut" system, which ensures easy installation for a beautiful floor. The only tools you will need to install are a measuring tape, chalk line, utility knife with a sharp blade and a contractor square. Easily maintained by vacuuming or sweeping. In the event of a stubborn stain or damaged tile, simply replace the tile with a new one. This lightweight, low profile, unpadded tile can be used in basements, porches, exercise rooms, workrooms, and even outdoors. A touch of Natural Stone Smart Tiles Mosaoks are getting closer to the real thing! We now have a new stone finish which looks and feels like velvet to the touch. They can be cleaned as easily as our glossy mosaics. They will blend naturally with a contemporary or classic home dicor. 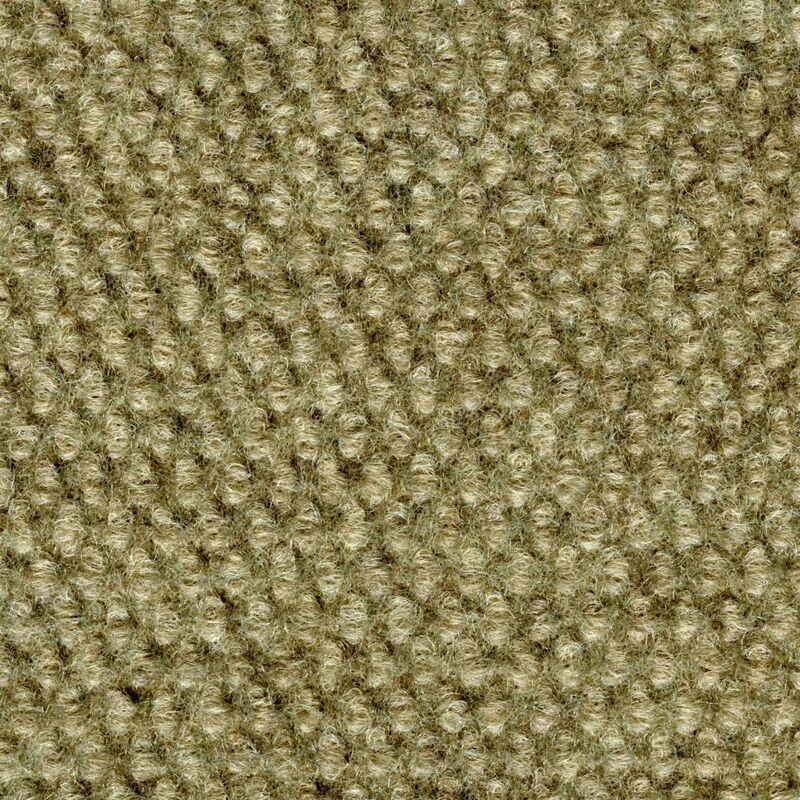 18-inch x 18-inch Indoor/Outdoor Taupe Hobnail Carpet Tiles (36 sq. ft. / case) The carpet tiles are the best choice if you want a fashion forward, textured look at a great price for your home. Used as an area rug, hallway runner or wall to wall, this tile provides a solution that does not require an installer or a separate adhesive. You can create a new look in an afternoon with this peel & stick system. The 18 inch x18 inch tiles are cut with the "perfect cut" system, which ensures easy installation for a beautiful floor. The only tools you will need to install are a measuring tape, chalk line, utility knife with a sharp blade and a contractor square. Easily maintained by vacuuming or sweeping. In the event of a stubborn stain or damaged tile, simply replace the tile with a new one. This lightweight, low profile, unpadded tile can be used in basements, porches, exercise rooms, workrooms, and even outdoors. 18-inch x 18-inch Indoor/Outdoor Taupe Hobnail Carpet Tiles (36 sq. ft. / case) is rated 4.1 out of 5 by 37. Rated 1 out of 5 by John from Disappointed I ordered these online at a comparable price to a local flooring store. Tiles were delivered to store a week later and I was extremely disappointed in the quality. Very flimsy and a simple peel and stick backing with no substance to it. Returning them for refund. Rated 5 out of 5 by Bee55 from Highly recommend These tiles were exactly what we had hoped for. They went down easily, stuck well and after spraying them with stain guard are perfect on our front porch! Rated 4 out of 5 by Anonymous from easy but VERY thin It was very easy for me to install, including cutting, but the carpet is so thin!!!! Definitely should use a sub floor before putting on concrete. Might help with cold. Also, this arrow stickers are STICKY!! Was hurting my fingers pulling at my skin!! Rated 5 out of 5 by clnacy from taupe hobnail indoor/outdoor carpet tiles Carpet ties ere delivered right on schedule; after two days in basement office I laid them on the concrete floor, 15 X 15 feet. Installation took about eight hours and went very well. a few tiles were just slightly off square and needed minimal trimming. This floor has always been bone dry and was sealed two years ago so ties bonded extremely well, no corners or edges stuck up. No joints are visible and as flooring for a downstairs office they have received many compliments. Am very pleased with the performance and the looks, would recommend to anyone who has a similar situation although as a "fashion" area they might be a little Spartan. Rated 5 out of 5 by MinAlex from Perfect solution for our laundry room. Easy and fast to install. Made our laundry room look like a room instead of a basement. We put it down directly on the concrete. Very happy with the new look! Rated 4 out of 5 by lauraslife from Carpet looks awesome and installed easily I installed the carpet tiles myself, took advise from other reviewers and sprayed them with adhesive because the tackyness of the adhesive on the tiles was pretty minimal and I was laying them on my basement floor which is concrete. I sealed the floor and cleaned it really well prior to laying tiles and they layed out beautifully. Super easy to cut and fit into odd crevices/angles. Feels great on bare feet. I don't know what the wearability will be but it looks great now and seems to be laying out really well. I turned the tiles 1/4 turn every other and it created a really nice pattern. Love it so far. Could these be used on stairs? I would be looking to cut these to fit each stair step (i.e. they wouldn't carry up the rise so mostly I'm wondering if they would fray when cut and how much adhesive is left behind if the tiles are removed.